Lalique Pour Homme Equus by Lalique is a Oriental Spicy fragrance for men. 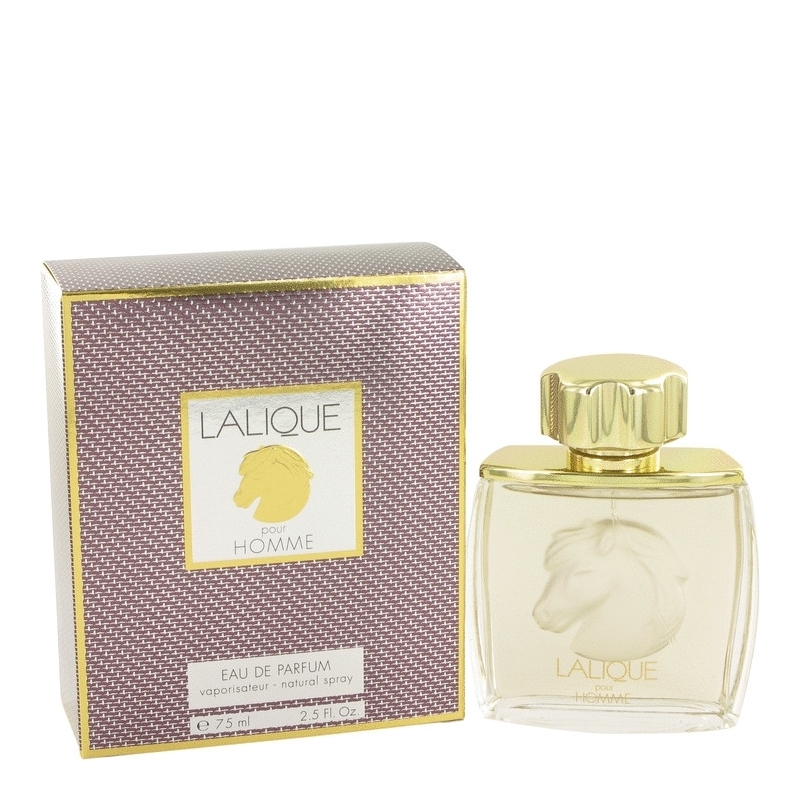 Lalique Pour Homme Equus was launched in 2001. The nose behind this fragrance is Emilie (Bevierre) Coppermann. Top notes are bergamot, lemon and citron; middle notes are nutmeg, juniper, violet leaf, cardamom, mace and brazilian redwood; base notes are leather, musk, vetiver, sequoia, amyris and benzoin.